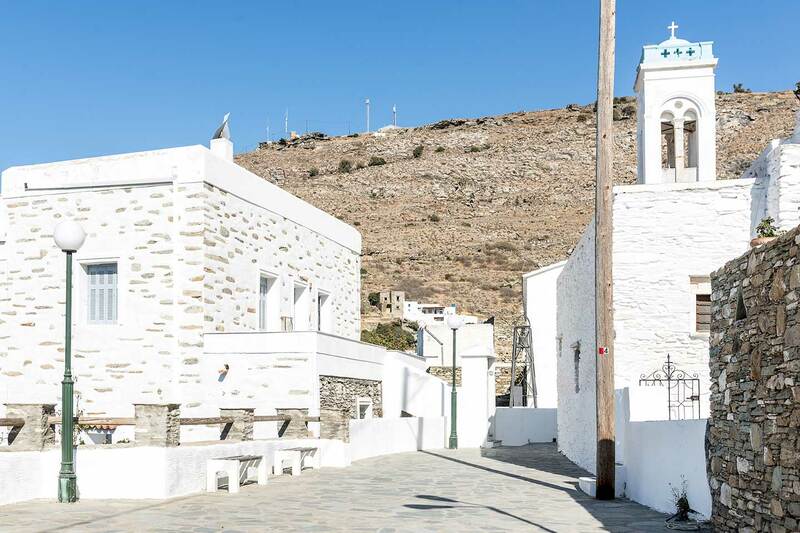 On the island of Andros, located at the SE region of Korthion Bay, Pyrgos Sareli is a hidden accommodation paradise inside the tiny traditional pedestrian village of "Aidonia" (Aidonia is the name of the bird "nightingale" in the greek language). 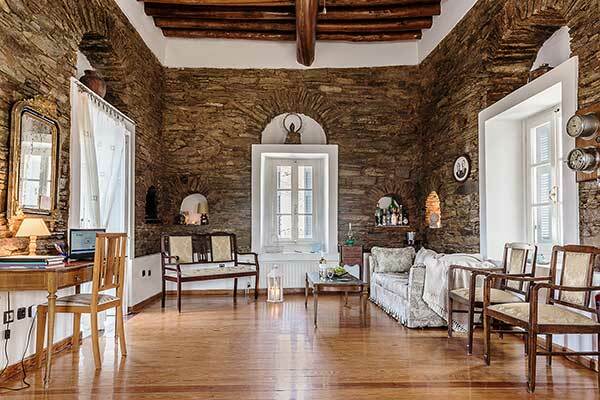 This elegant family mansion was built in 1690 following the traditional architectural style of the so called "pyrgospita". 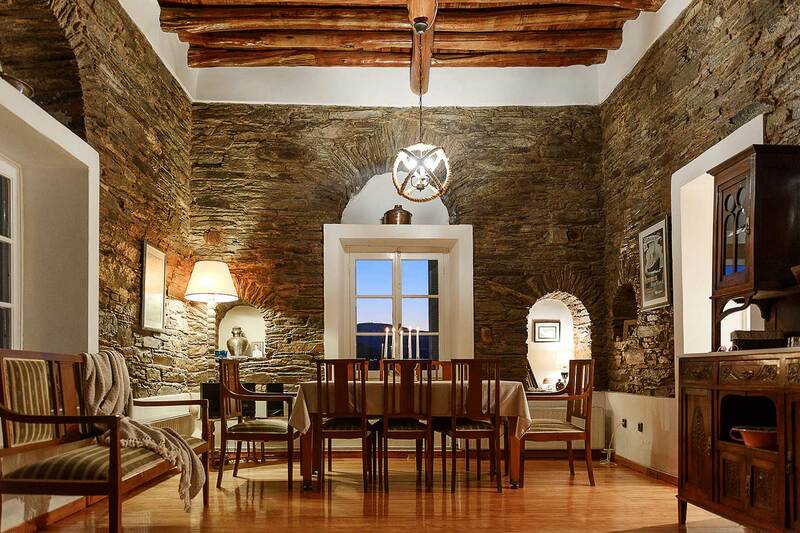 Minimal rigid lines, thick stone walls, contribute to the impressiveness of the building. 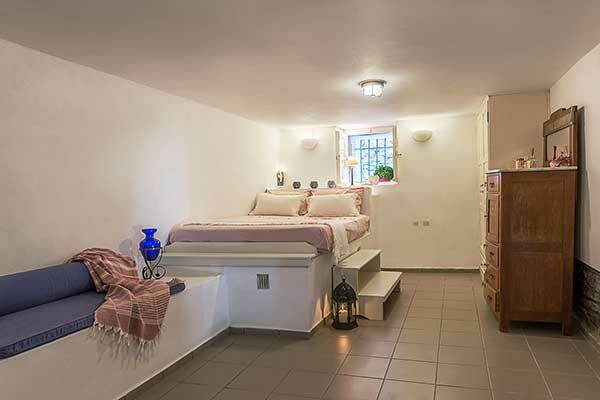 Today, Pyrgos Sareli which has been converted to a small boutique holiday house, to accommodate guests in independent traditional, comfortable apartments with view and openness. 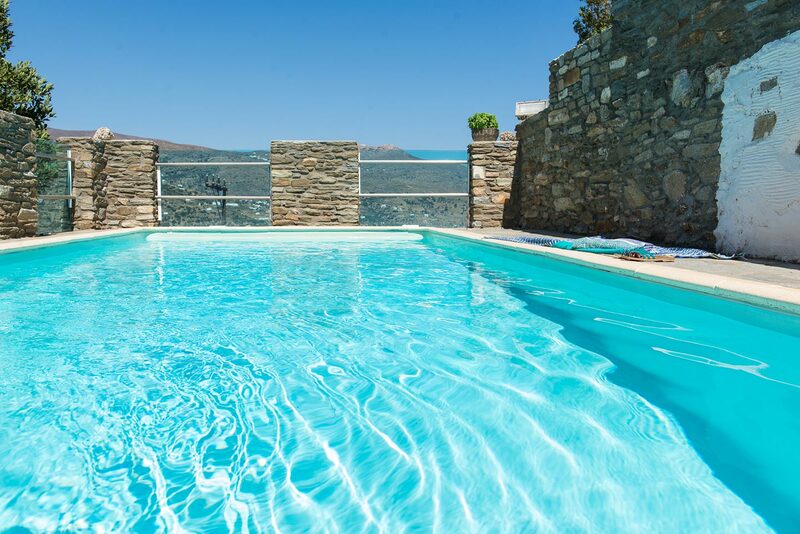 Each (apartment) residence is a complete house, equipped, offering comfort and quality accommodation in Andros with panoramic view. An open-air swimming pool offers relaxation under the sun or the stars. Water flow sound next to the reception, to enjoy a quick coffee before swimming. 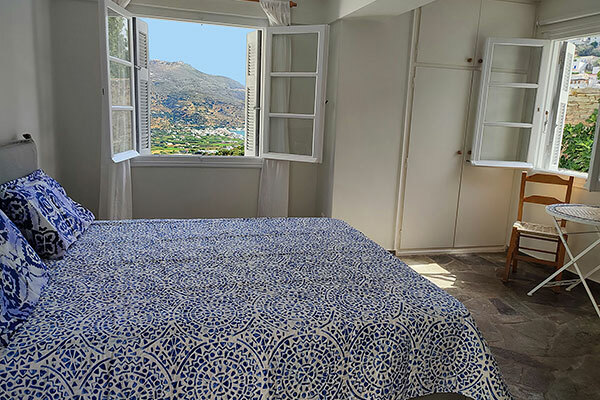 Serenity, singing birds, water fountain, blue sky , white churches, tiny old paths, night stars and night birds, openness and seaview .... they all manifest their beauty for you, combined with warm hospitality for a quality stay in Andros island. At the rear of Pyrgos Sareli, a tiny path leads·you to the unique stone-built natural water spring of Aldonla and the "zen" sensation to drink fresh water dally among the sounds of nature and the running water ... as If time has stopped. 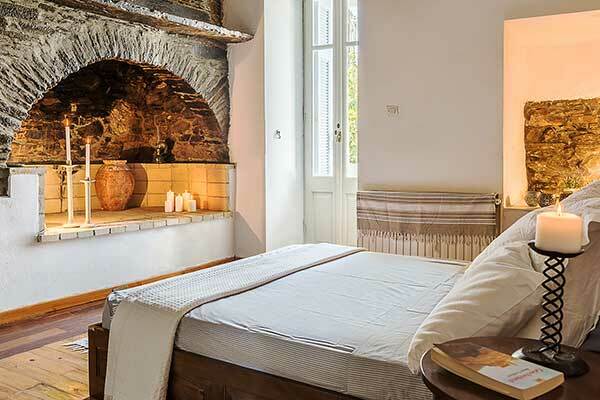 The real value of this quality accommodation, apart of its historic dimension, is the feeling, the aura of living there. This cannot be depicted in photos or texts.